Prefer this design on shirt? Get it here. Prefer this design in pink color? Get it here. 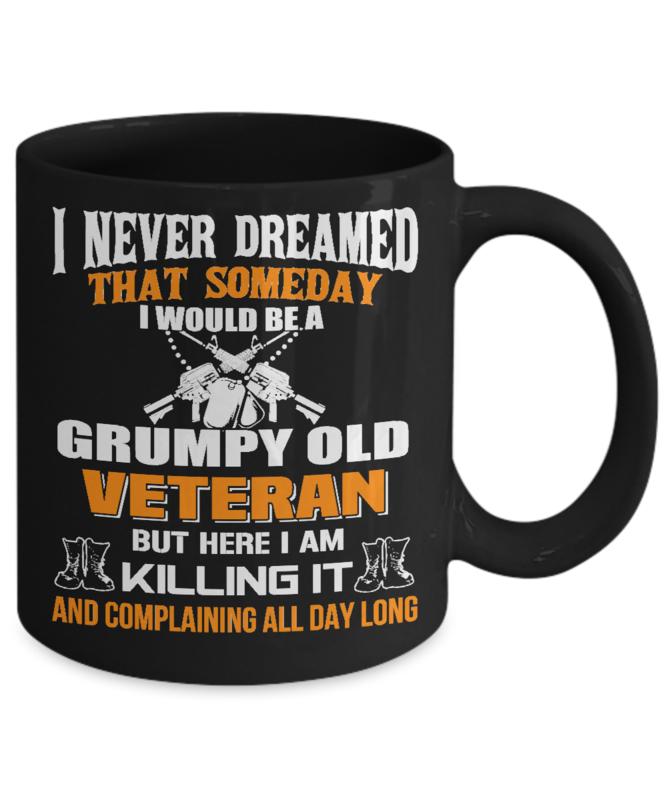 I bought this mug for my Vietnam veteran husband and he loves it! The only negative comment he made was, "It's kinda small." He usually drinks his coffee from a much larger mug. 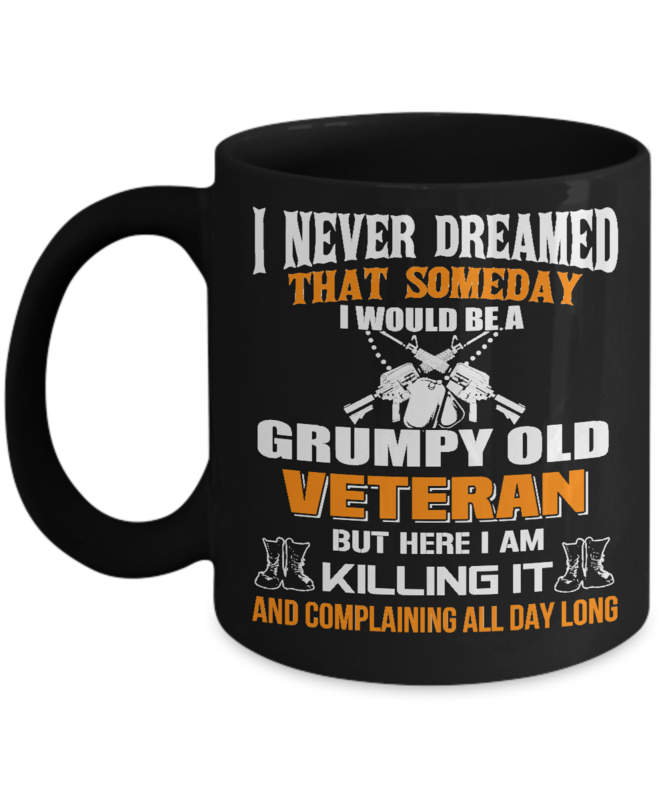 Thanks for creating this for those of us who live with the "Grumpy Old Veteran." The cup was very nice & am using every morning. I love my cup, I use it all the time. Love the Mug....excellent conversation piece during 4th of July. Mug looks exactly as advertised and didn't take as long as expected, and I was informed via email all the way through the delivery tracking process, and my item arrived perfectly intact and in excellent condition. I will definitely be buying items from this site again. Very nice and to the point, but, a 14-16 oz would have been better.